The performance is a theatrical version of the famous novel of the same name by Ilija Trojanow. It unfolds a historic panorama covering more than half a century and shows the processes in Bulgaria under totalitarian rule and during the transition to democracy. Archive documents blend with personal accounts of some emblematic characters of the times. A powerful political and actor theatre inscribed into the topical discussion of the unveiling of the truth about the near past. “Power and Resistance” is among the highly appreciated performances of the past theatre season in Germany. To compile the basis of his novel writer Ilija Trojanow spent almost 20 years carrying out research, holding interviews with witnesses of the times and studying documents from the period. Published in 2015 in Germany, the book was among the 20 titles nominated for the best German novel of the year. 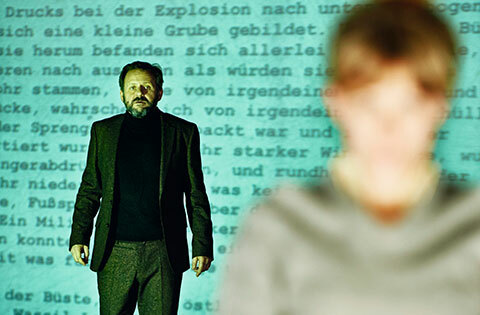 It is staged by Czech director Dušan David Pařízek who works actively in Germany, Switzerland and Austria and has been recognized as one of the interesting faces of contemporary German-language theatre. In German with Bulgarian surtitles. The guest-performance is co-organized together with Goethe-Institut Bulgaria.